Estate planning is a lifelong process of evaluating your situation and making plans for the future. It frequently involves planning for your family, friends, and even charitable organizations of your choice. It requires considering all your assets and whatever forms of ownership and title those assets take, as well as determining who will manage those assets when you are deceased. It includes planning for your possible disability, eventual retirement, and death. Needless to say, a wide range of legal, financial, emotional and logistical issues must be addressed in a good estate plan. A complete estate plan package usually consists of an Advance Health Care Directive, a Durable Power of Attorney for Management of Property and Personal Affairs, a simple Will and a Revocable Trust, with its accompanying documents. Property owners who decide upon a Revocable Trust will also require a Grant Deed and property tax documentation to transfer their property into that trust. Of course, not every individual requires a Trust, and an experienced estate planning attorney will assist clients in determining what kinds of documents are necessary for their particular situations. No matter how large or small your estate, you will want to name a person you trust to manage your assets and care in the event of incapacity, someone you feel confident to make good health care decisions for you. If your estate is relatively small, you may decide to concentrate on choosing beneficiaries to receive your assets following your death and designating a person to be responsible for managing the distribution of those assets. If your estate is a larger one, you will want to consider not only who will inherit your assets, but how you can best preserve them for your chosen beneficiaries. For example, a good estate plan will often reduce estate tax significantly or may serve to postpone its payment. In cases where no planning is done, the court appoints an individual to take charge of your assets and personal care in the event of incapacity in a conservatorship proceeding. After your death, assets will be distributed according to a set of rules set forth in what is known as “intestate succession” in a probate proceeding. This process provides for relatives to be heirs ahead of the state; however, the inheritance will be minus probate costs and may not be distributed to those particular heirs you would choose. In selecting the estate plan that is right for you, it is important to list your assets, along with their value; consider what beneficiaries you would designate to receive those assets, as well as when you would like those individuals to receive them; decide who should take charge of those assets should you be unable to continue doing so, either during your lifetime or afterward; select a person to care for your minor children in the event of your death or incapacitation; and determine who will make decisions for you about your care and welfare should you lose the ability care for yourself. Once you have completed your deliberations and have a reasonably good idea of your intentions, you are ready to seek the advice of a qualified attorney, who will explain the various documents available and advise you in the prudent management of your estate. 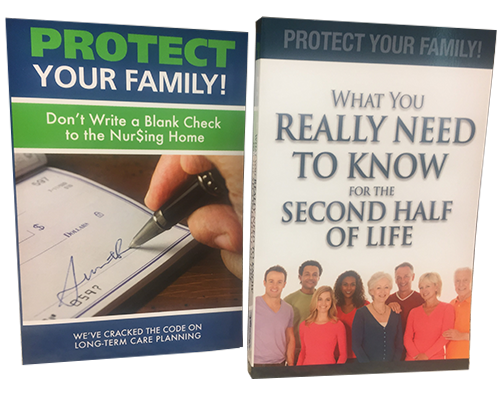 Already an Estate Planning client? Check out our Continuity Program, designed specifically and exclusively for our Estate Planning clients. Interested in our Long-Term Care Planning? Please click here for more information.